Idlewild Woman’s chromosomes may differ from those of Article Menswear, but both stores share the same DNA. 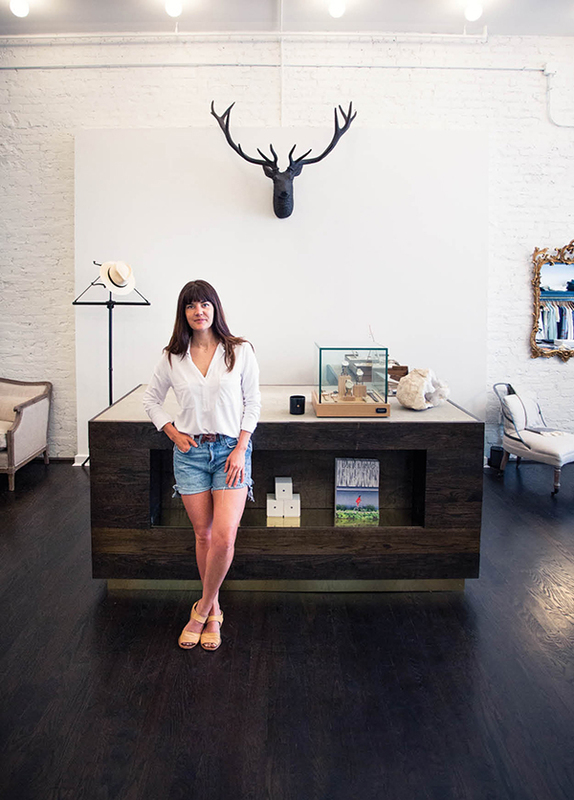 Article owners Anthony and Maria Graziani bring the same discerning eye for on-trend, ethically produced clothing, accessories, and home goods to their new store, which opened in May on Vine Street in the Gateway Quarter, one block north of its sibling. Idlewild, like Article, has a bike in the window: a new pedal-powered Bixby from Shinola in place of the 1977 Ducati 500. Inside, a Frank Duveneck reproduction portrait hangs high on the wall as a nod to the regional provenance of much of the merchandise. 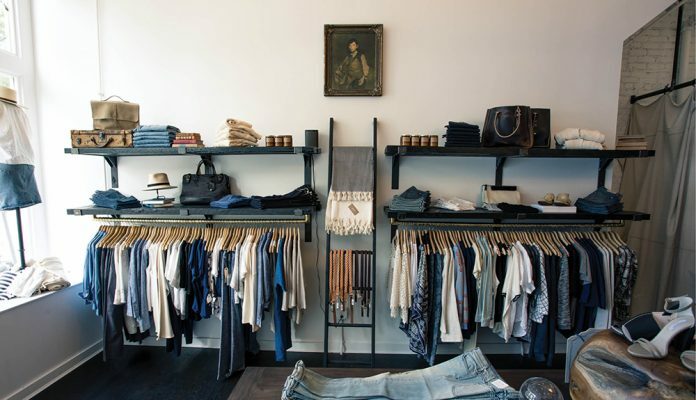 The locally salvaged shelves are arrayed with American-made goods like Shinola watches, which—like the bike—are manufactured in Detroit; denim from Baldwin in Kansas City and Nashville’s Imogene + Willie; Billy Reid T-shirts; and feather-light caftans in Japanese- and Indian-inspired prints from Emerson Fry in New York. 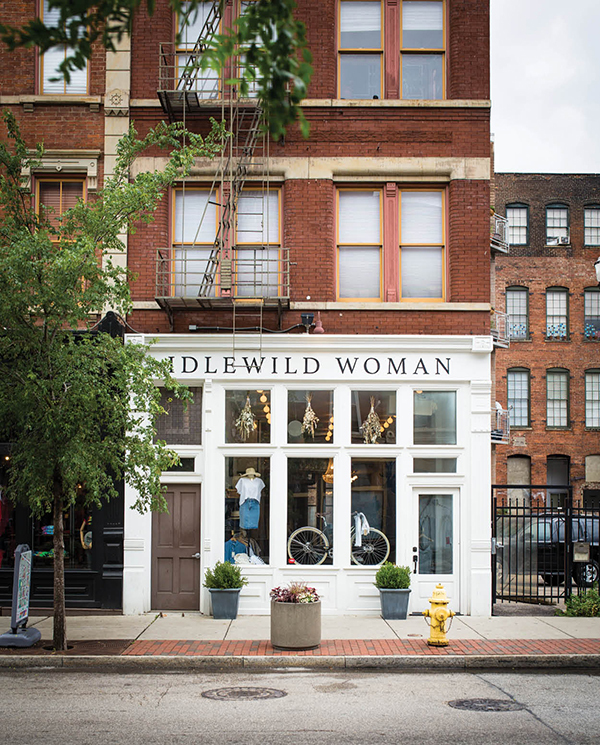 Along with Article, Idlewild plans to be a flagship store for Cincinnati-based Frameri eyewear. The Grazianis take pains to showcase lines from independent makers, like the elegant Rajovilla watercolor clutches based on Cincinnati artist Joya Logue’s hand-painted designs. Anthony notes the shop also carries faceted, jewel-toned bath bars from Pelle and body care from Herbivore in Seattle. “The great recession split shoppers into two groups, those going super cheap and those looking for quality. We try to source as much made in the U.S. as we can across all price points,” he says.